First of all thank you for all the support in the opening weeks of this blog going live, it is very much appreciated! In this post I thought it would be good to give people an idea of who is behind the computer screen controlling the HTF4UK blog and twitter account. I'm Joe, the first placement student to be a part of this push for a UK based Human Taphonomy Facility. At this moment in time I have completed two years of my Molecular and Cellular Biology course at the University of Huddersfield. I have always had a keen interest in Forensic Science, which was further reinforced after seeing a documentary about 'body farms'. Upon completion of this year long placement I'll be going into the final year of my degree with the hope of doing either a master's or PhD in Forensic Science after graduating. Please keep checking back for more updates and spread the message to family, friends and colleagues! Welcome to HTF-4-UK, a forensic science project from the University of Huddersfield! 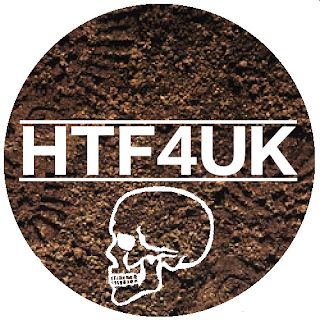 The aim of this project is to raise awareness of Human Taphonomy Facilities (HTFs), but also to conduct a survey into the public opinion of HTFs. With enough participants the outcome of this will help to ascertain whether or not developing the UK's first HTF is a viable proposition. To go straight to the survey click here! Keep coming back to this page for more updates on how the project is going, or you can follow our Twitter page @HTF_4_UK.